Nhan Viet offers Multiphase Metering instruments (Flow Measurement Solutions) in Viet Nam Market. 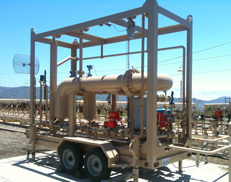 Multiphase Flow Metering (MPFM) Systems brings a new set of standards to oil field measurement. 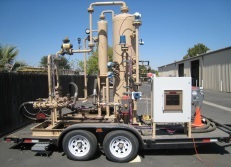 It provides real time, continuous measurement of oil, water and natural gas for well testing. Accuflow’s simple design and low maintenance makes it one of the industry’s most cost effective solutions for oil and gas measurement. Multiphase Flow Metering (MPFM) supplied by Nhan Viet ICS JSC for various offshore platforms. Accuflow is recognized as a leading global supplier of well test measurement systems in the petroleum industry. Utilizing several highly innovative and accurate models, Accuflow is able to accommodate a wide range of process conditions and customer specifications. Simple design and low maintenance makes it one of the industry’s most cost effective solutions for oil and gas measurement. 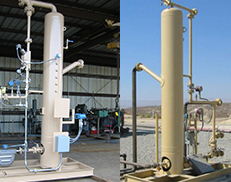 Uses unique pipe separator design to completely separate multiphase flow into a gas-free liquid stream and a liquid-free gas stream. LT-Series is compact with relatively small footprint for locations with limited space such as offshore platforms. 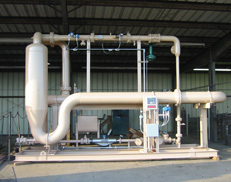 The standard Accuflow system is our main design and the most utilized. It covers low to high production flow rates as well as light to heavy crudes. It offers the most ability to separate gas and liquid. The footprint size can differ from application to application. We have the full SR version for the higher production flow rates and our more compact LT version for the lower to medium flows. Every Accuflow skid is custom designed to meet your process measurement flow conditions. When testing in high water cut situations, the Accuflow 3 Phase System is the perfect solution. Defining the net oil out of the relatively high water content can be more challenging; by separating the water phase from the oil phase, the measurement instruments are given the best chance at flow measurement and increasing your Net Oil accuracy. The Accuflow 3PJR model is the low flow version of our 3P model. 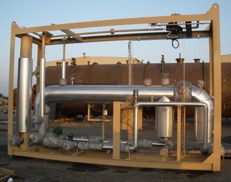 Our design gives an accurate yet economical solution for low flow/high water cut/light oil situations. Like the full size 3P model, the 3PJR model separates the water phase from the oil phase, giving measurement instruments the best chance at flow measurement and increasing your Net Oil accuracy. For your well testing application on wheels. Any of our systems can be made mobile. Each application is custom designed for the intended use. Whether for paved roads or rough terrain, simple shades or air conditioned accommodations, Accuflow can provide a solution for your mobile testing needs. The Accuflow JR is our low flow model. Specifically designed for lower flow rates and light oil, this system can be a very efficient solution for your measurement needs. Properly engineered, this design does not require the use of any control valves. A vertical section of pipe for gas/liquid separation and a few measurement instruments is all that is required.